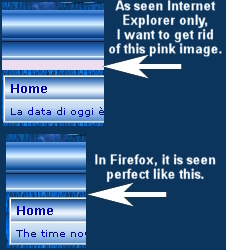 so it will look perfect like it should as seen in Firefox. I am using apple style 1.3.053.
please help me to find this image, thanks. Can you provide a link to check live? there should be some code moved around to fix that. that is this horrible pink.